Did you read the latest mom blogs? We’re getting hit from all sides, aren’t we mama? While the world around us is offering up a plethora of recoMOMdations, we’re sitting here covered in dried milk, wondering why our living room smells like pee, all while watching our kids reenact the Rocky fight scene every hour. ON THE HOUR. The books and the blogs seem nice, but in reality we are up to our extremely tired eyeballs in recoMOMdations, and all we really want is a good night’s sleep and a little encouragement. 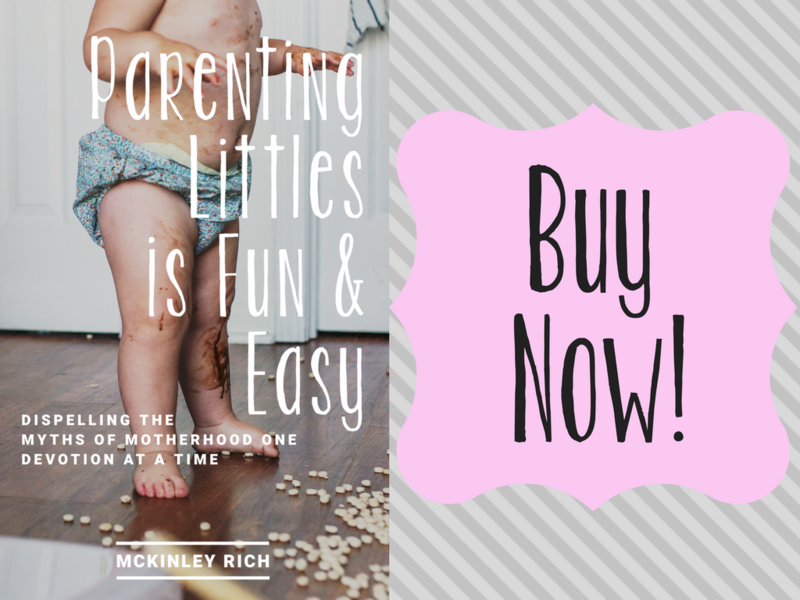 Between these pages you will find raw, emotional, and often hysterical words about one mama’s time in the trenches. This is not a How-To book, or a book of suggestions, but rather one mom’s journey of how she found her purpose and joy as a mother in the place she least expected it—in the arms of Jesus. He can handle the hot mess mom status, the disastrous house, and the adult temper-tantrums like a boss. He is the calm to all the storms and the listening ear to the incredibly loud screaming. While the world is bombarding us with Myths about Motherhood, there are much simpler truths for mamas buried in the pages of the Bible (and we don’t even need a Facebook link to find them). Snuggle in tight, friends. Let’s dispel some of these myths together.